Lensar has secured 510(k) clearance from the US Food and Drug Administration and CE mark approval for IntelliAxis-L, which is an advanced data-driven reference marking capability to guide toric intralocular lens (IOL) alignment. 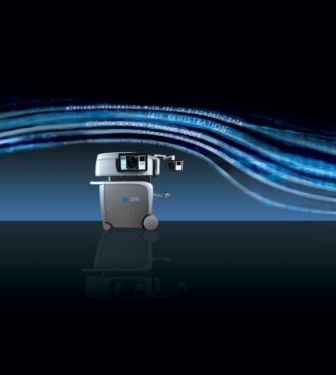 The new IntelliAxis-L feature has been added to latest Lensar laser system with Streamline IV, which allows surgeons manage astigmatism with extreme treatment planning insights. Lensar laser system was approved by the FDA for anterior capsulotomy, lens fragmentation and corneal and arcuate incisions. Exclusive to the Lensar femtosecond laser platform, the custom-shaped marks cannot be duplicated manually or by any other device. IntelliAxis-L, along with IntelliAxis-C corneal marking capability, will allow to address both pre-existing and surgically-induced astigmatism with marks that remain visible postoperatively, helping to identify any rotation and guide realignment of the toric IOL to its optimal position. IntelliAxis-L will help to incorporate complete corneal measurements, including total corneal refractive power and total corneal astigmatism, to guide placement of arcuate incisions. Lensar CEO Nicholas Curtis said: “IntelliAxis-L, our proprietary method of creating customized, data driven laser marks at the capsular plane, represents a significant enhancement to the Lensar laser system. Image: IntelliAxis-L is a data-driven reference marking capability to guide toric IOL alignment. Photo: courtesy of Business Wire.